…this [peoplehood] identity precedes our religious faith: [just as] Pesach precedes Shavuot. 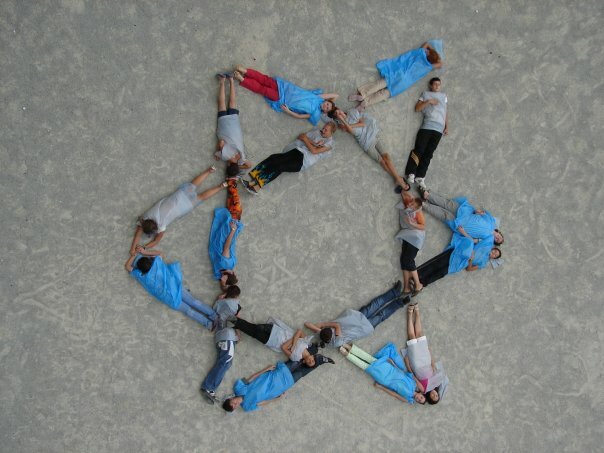 In a Jewish world where all too often one’s particular denomination or religious practice serves as a wall between oneself and fellow Jews, where the central question is often in whose house one does not eat, or in which synagogue one does not pray, the ethos of Pesach calls out and reminds one that Jewish peoplehood comes first. While Judaism does not stop with peoplehood and Sinai is a defining moment shaping the values and content of our national identity, the place of Pesach in our calendar [coming before Shavuot, the holiday celebrating the giving of Torah], I believe, gives it primacy. By this I mean that our Jewish values and practices must not only shape our collective identity but must be shaped by them. Ours is a world where Conservative Jews belittle the religious sensibilities of Reform Jews, where Reform Jews deny the value of Orthodox Jews practices, where Orthodox reject the halakhic (Jewish legal) outlook of Conservative Jews (and don’t forget the Reconstructionist, Haredi, Renewal, Transdenominational and other Jews). In Israel, the divisions are deeper as they are tied into national politics – from marriage and burial, to the role of women, to the future of the West Bank settlements. Religion by its nature creates a God intoxication in which we strive to walk in the way of God, regardless of the consequences to ourselves and to others. The “heroic figure” of Abraham in Genesis 22 [the Akedah, Abraham’s almost sacrifice of Isaac] models such a religious pathos. Rabbi Hartman’s wisdom rings true. Peoplehood, not lip serviced declarations, but real commitment to Jewish peoplehood might shine a way forward in the Jewish religious battles in Israel. May this reaffirmation of the primacy of Jewish peoplehood strengthen us as our brothers and sisters in Israel struggle to redefine the role of religion in public life, and we in America struggle to deepen our connections despite divergent opinions about Jewish living and Israeli politics.